Legal father v. biological father: what are your rights? Family structures can be seriously complex, and there aren’t always biological parents in the picture. In fact, some children may be closer to their non-biological parents than their biological, and may never have even met their biological fathers. 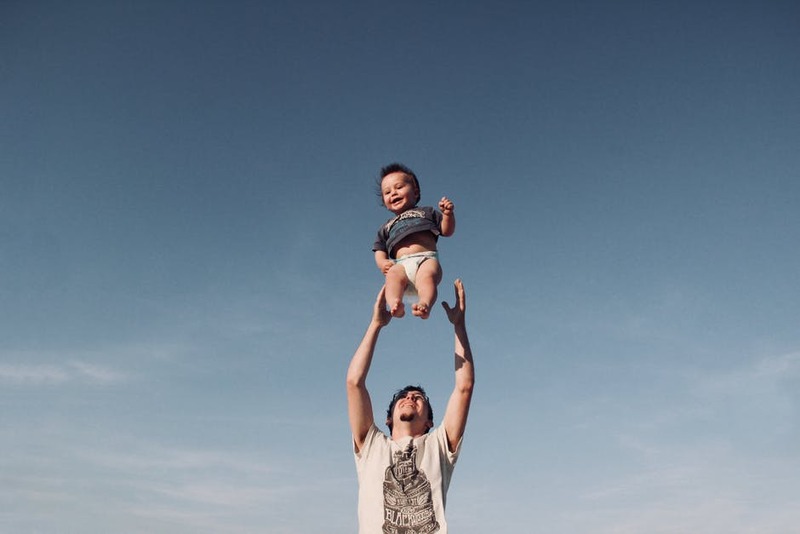 Family law gets a little complicated when it comes to defining the different rights of biological fathers and legal fathers, and it is important for each party to know exactly where they stand. A legal father is someone that has parental responsibility of a child, either by adoption or if they are on the birth certificate. A biological father however, is the blood-related father of a child, the person who impregnated the mother. They will be the person whose genes get inherited by the child. However, this doesn’t mean that they instantly gain parental responsibility. How does a biological father get parental responsibility? A child’s biological father is not automatically considered to be their legal father, and they may not automatically gain parental responsibility. They are married to the mother either at the time of the birth, or after. If they are on the child’s birth certificate, if the registration took place post December 2003. A court gives them parental responsibility. However, more than two people may be able to get parental responsibility of a child at one time, which could be where it gets complicated. Unless any of the above reasons apply, the biological father has no legal right towards the child. However, whether they have parental responsibility or not, they still have a duty to support the child financially, even if they have no access to their child. Everyone with parental responsibility of a child will need to agree on things before they go ahead. The mother can make a decision of little importance, but for bigger changes, everyone that has parental responsibility will need to be consulted. If they cannot agree on a decision or outcome, then a ‘specific issue order’ can be applied for in court. Just because someone has parental responsibility of a child does not mean that they can contact the child whenever they want. Child access rights are a whole other issue altogether, but if an agreement can not be made by both parents, then they will need to apply for a ‘child arrangement order’ and it will go to court. If a biological father doesn’t have parental responsibility, then they will need to sign a responsibly agreement with the mother or take it one step further and apply for a court order to discuss it further. If paternity is an issue, a lawyer can use DNA tests to establish who the biological father is. If you think you need to use a court to decide on your issue of paternity, then it would be best to speak to a professional family lawyer. This entry was posted in Family on 19 November 2018 by admin. Facts and figures from Cath Karlin Divorce Law in Edinburgh. This entry was posted in Family on 16 October 2018 by admin. Does the divorce system need updating? On 17 May, the Supreme Court heard its first case on divorce itself (Owens v Owens [UKSC 2017/0077]). The case has reignited the debate over the current divorce system in England and Wales which has been in place since 1973. In this case, the husband successfully defended his wife’s divorce petition on the grounds that the marriage had not, in actual fact, broken down irretrievably and that the allegations made were not true. The Judges found that the wife’s allegations were not sufficient enough to justify the claim that it was unreasonable for her to remain being married to her husband. As a result, the wife was unable to procure a divorce and under the current law, she must remain married to her husband until they have been separated long enough for her to issue unilateral proceedings on the grounds of five years’ separation. This is a particularly rare outcome that has attracted a significant amount of media attention. The judgment shows that the law, as it stands, does not adequately allow an individual the means to promptly leave the marriage in the event that their spouse is not at material fault. A recent study into defended divorce cases shows that less than 1% of divorces are defended and of those cases, less than 18% were defended on the basis that the marriage had not irrevocably broken down, with the majority being disputed on the basis that the accused party was not at fault. This suggests that the current fault based system is responsible for over 80% of divorce disputes. This has spurred the debate of whether we should rethink the current law and introduce a “no-fault” divorce. Advocates of this change claim that it would lessen the financial and emotional impact of the already fraught divorce process. In 2015, 60% of English and Welsh divorces were granted on grounds of adultery or behaviour. In Scotland, figures where a divorce can be obtained by neither party admitting fault after one year (with consent) was 6%. In cases where neither party has committed any act or acts that can be considered unreasonable, the law forces the parties to either fabricate misdeeds or wait a minimum period of two years to formally divorce. It is rare that these cases proceed as far as Owens v Owens did, as the majority are settled out of Court; however eliminating the need to point blame or find reason, could lead to a more expeditious, less costly process. The Owens case has certainly flagged up the importance of modernising the somewhat outdated and potentially prejudicial system and it will be interesting to see the long-term effects of this case and whether, following the controversy and media attention, a no-fault divorce system will be introduced. To speak to the Family team at Meadows Ryan about a divorce or family matter, contact Christian Abletshauser. This entry was posted in Family on 21 June 2018 by admin. Over the past 20 years, there has been a marked and steady rise in the number of older people who seek to get divorced – “grey divorce”. The trend continues in 2018 and here we examine the reasons for this and what those concerned can do to help them cope with the prospect effectively. There are several reasons why grey divorce is on the rise. In the first instance, grey divorce is now deemed acceptable by society and has little or no stigma attached to it. In days gone by, it was the case that many married couples who were experiencing difficulties would enter into an “Irish” divorce and this meant separating but not going through with the legal proceeding. Life expectancy is also playing a role in the rise of the grey divorce. People are living longer, which means couples can be together longer and thus statistically more likely to end up parting company. The third main reason why grey divorce is on the rise is that subsequent marriages, that is to say a second or third marriage tends not to last as long and to end up in divorce. What may act as some kind of comfort for those who are experiencing grey divorce is that there is now more support and advice around than ever before to help them cope with the procedure. For instance, legal experts like Withers Worldwide offer a range of services such as legal mediation or help navigating complex cases that may involve post-nuptial agreements or factors such as overseas trusts. Other forms of support come in the form of forums or services like the ones offered by divorce support groups. Talking through the experience and the surrounding factors is one of the best ways of coping with the related stresses, strains and processes. This coupled with a healthy lifestyle and plenty of rest will help those going through a grey divorce to understand what is happening and how to deal with it. Recent data from the Office of National Statistics highlights that the marriage rate for women over the age of 65 has increased by 56 per cent in recent years, suggesting that, for some, marriage is as much about financial security as it is about love. One of the biggest financial concerns facing couples who decide to marry or remarry in later life is the extent to which their existing assets may become part of the new marriage’s matrimonial assets in the event that one party dies or files for divorce. The decision, therefore, about whether assets should be kept separate or shared with a new partner, should be considered very carefully at the outset. One way of increasing the likelihood of keeping that pre-marital assets separate is through a pre-nuptial agreement. Despite their somewhat transactional and unromantic reputation, pre-nuptial agreements are becoming increasingly popular in the UK and are often found to provide clarity. The Supreme Court decision in Radmacher v Granatino  UKSC 42 in October 2010 decided that the court will uphold the terms of a pre-nuptial agreement that is freely entered into by both parties with a full appreciation of its implications unless it is found to be unfair. There is no doubt that getting married can bring with it a number of financial benefits. However, it is vital to obtain the correct advice from the start so that you are able to identify the key financial issues and avoid any difficulties that can arise from the marriage’s early demise. To find out more, please contact Christian Abletshauser, Partner, Meadows Ryan, family solicitors (email christian@meadowsryan.com). This entry was posted in Family on 14 March 2018 by admin. Family lawyers are always in need of not only more instructions, but also instructions of a higher value. In order to know how to attract and convert more customers, you need to know more about them. Possibly the most important thing lawyers can know about their customers is the factors affecting their choice when it comes to choosing their solicitor. This post looks at 5 things customers consider when choosing a divorce lawyer, and how you can easily take advantage of these insights to drive greater profitability. Consumers are more sophisticated than ever before. Where once they may have just used the one high street lawyer for all their legal needs, the internet allows customers to do a bit of research. For high-value or contentious divorces, the customer is likely not just to be looking for “a lawyer” but a lawyer with a divorce specialism, and even a specialism in their particular circumstances. Demonstrating your expertise, skill and past work on your website through strategic content can be an excellent way of demonstrating your specialism in that area. Furthermore, if you are a member of a professional organisation, or have won any awards or recognitions, you should put these trust icons on your website. These are called trust icons for a reason and can be very persuasive when it comes to customer conversion. Testimonials and reviews hold a lot of power when it comes to consumer decision making. After all, when was the last time you bought something online without checking out the reviews? You should aim to implement a process for gathering reviews and testimonials. For example, create a template email asking past clients to review your service on Google. Legal reviews can be difficult, because often clients will focus on the outcome – which may have been out of your control. Try to guide the client by asking them to focus on service. Were you easy to contact? Were you upfront about costs? These are things within your control and can help persuade potential customers that you are good to work with. Your website is now your shopfront, and if that shopfront is looking tired, this can be dissuading to customers, particularly those that are facing a difficult divorce and want to feel secure. Having a well-designed, easy to use website that provides clear information about your services puts potential clients minds at ease. You should aim to not only describe your services, but your customer service too. This may be the first time the client has ever dealt with a lawyer, so they want to know what to expect. Similarly, keeping your blog and social channels regularly updated shows that you are active online, and are likely to respond promptly if the call or email you. This entry was posted in Family on 17 February 2018 by admin. What comes after “divorce month”? Family lawyers will be getting some much needed respite now that February has arrived. January is typically known as ‘divorce month’ where following the festive season, many couples decide to call it quits. Perhaps it is the ‘after Christmas’ mentality, getting a new start in the new year, or the financial strain of Christmas pushing couples apart. Regardless of the cause, divorce lawyers find themselves exceptionally busy at this time. But, what comes next? How can family lawyers continue to attract a large volume of work after the divorce dust has settled? We take some advice from expert lawyers. One of the best digital marketing strategies for family layers is to use anonymous case studies of cases they have previously worked on. Often potential clients will be looking for answers to very specific questions when it comes to family law, and having a case study that closely mirrors their situation on your website can help boost enquiries. Think about the different types of customers you want to attract, and common problems that they might face. Similar to case studies, when looking to instruct a family lawyer, many consumers will read testimonials and reviews of past clients. Where you have successfully resolved a case for a client, or helped them secure the results they we’re looking for. Now might be the time to focus on boosting those reviews. Send out a template email to your recent clients asking them to complete a Google review for your business. This will not only help with client trust, but can also help your organic search results too. If your firm has a decent sized Facebook presence, you can also ask them to review you on Facebook, to reach a different audience. If you are a firm that offers more than family law services, you might want to consider some follow up marketing campaigns. For example, those who have recently made enquiries about divorce services may now need to update their Will to reflect their change in circumstances. Similarly, now that January is over, many people might start thinking about selling or buying a property, or even starting a business. Cross-selling your services is an excellent way to turn one-off transactions into relationships, and you should begin to think about the lifecycle of your customers and their legal needs if you do not already. According to Google search statistics, January 2016 and January 2012 were the two most popular months for divorce searches in the last ten years, and it is consistently proven to be the busiest time of the year for solicitors who handle divorce and the financial and conveyancing issues surrounding separation. According to The Independent, January 8th is being dubbed as “Divorce Day” by lawyers because of the number of enquiries they receive from couples wishing to end their marriages after the festive period. Experts say the stress of trying to have a perfect family Christmas when you’re no longer happy with your spouse can get too much, as well as the financial pressures and unfulfilled expectations this time of year brings. Relate, one of the UK’s biggest relationship charities, has also revealed it received a peak in calls in January. Google’s data also shows that there are some peaks in other months, such as May and August, and that December is also consistently higher for divorce searches. For solicitor firms, it may be prudent to absorb such figures and plan effectively for both marketing plans and coordinate processes to handle the upsurge in clients around the peak times. 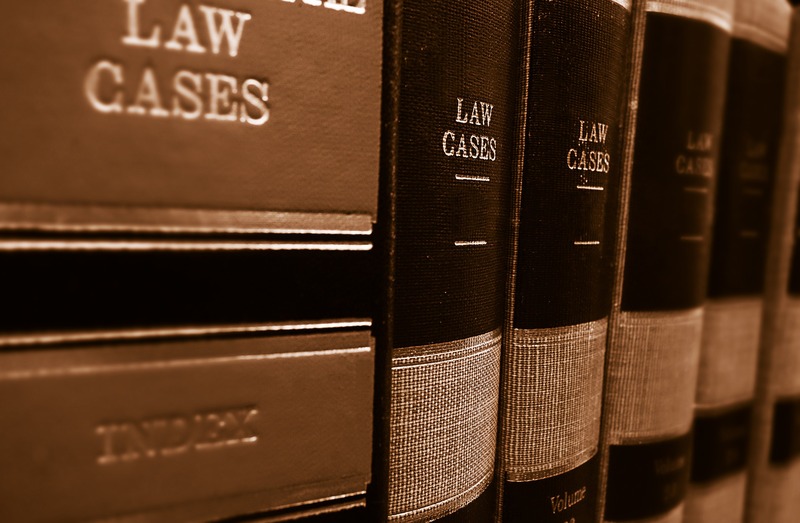 Collectively, the lawyers at Miller Samuel Hill Brown Solicitors have over 300 years of experience, making them one of the most well-established firms in Scotland. Their family lawyers based in Glasgow, help all kinds of clients, including business owners, entrepreneurs and other individuals with complex aspects of family law and divorce – as well as those that are more straightforward. Their lengthy and extensive experience means that they are able to provide the highest quality legal advice, tailored to your specific circumstances. Miller Samuel Hill Brown’s divorce lawyers understand that family issues are personal and sensitive matters, and that’s why they work to build strong relationships with their clients to help them feel at ease. They provide support for their clients throughout the legal process. They believe their commitment to customer satisfaction sets them apart from other law firms and is the cornerstone of their successful practice. This entry was posted in Family on 31 January 2018 by admin. How could legal aid rules affect future family law cases? Legal issues concerning many aspects of family life have made the news lately. Arguably the most prominent involves the leading judge Sir James Munby, whose recent opinions on a case involving a vulnerable teenager shone a light on social care cases. In an unusual step, Mr Munby spoke about how if a girl would be forced out of care, the consequences would be dire. The growing frustrations expressed even by those in high-ranking positions with the High Court suggests that changes are afoot throughout the legal sphere. Many of them centre around changes to Legal Aid, which is set to be pared back for many people. Those most likely to be affected by any cuts are people with social care, custody and divorce cases to fight. The current scheme has enabled many poorer claimants to attend court cases by providing them with the necessary funding for proper legal representation. In scaling down Legal Aid, there could be a very real possibility that those people may be left with few options. Mr Munby himself has tackled the government over their proposals to cut Legal Aid. His pleas had fallen on deaf ears, with the government’s initial decision from 2013 proving final. Since then, a string of stories about the impact of those cuts have surfaced. Aside from potentially putting an obstacle in front of poorer claimants, there is another knock-on effect. Some of those going to family courts to resolve divorce proceedings, social care cases and the like are often left with little choice but to represent themselves. Rather than hiring family law experts, claimants are looking to go to court unassisted. This carries a number of risks, not least the possibility that many going down this route are likely to be ill-prepared. Whilst self-representation is unorthodox, this won’t deter family law courts from turning down cases. Presently, there is no legal framework stopping claimants from representing themselves. It is a last resort, but for someone to go down this route, they need to do plenty of research and must argue their case in a controlled manner. As more people look to represent themselves, divorce law specialists may need to change their approach. Regardless of how deep cuts to Legal Aid may be, trying to attract clients who seek a more cost-effective solution might benefit from receiving general legal advice rather than fully-blown representation in court. With laws changing, there seems to be a shift in attitudes too, particularly when it comes to divorce. The most recent figures issued by the Office for National Statistics reveal that divorce rates in England and Wales are falling. Perhaps this is down to couples solving their problems or looking at alternatives, but whatever the reason, law cases of this nature will likely change. As for the courts, whether social welfare cases are done on an individual basis or centred around a major event such as the Grenfell Tower fire, they seem certain to deal with a high volume of people trying to reach settlements. They will need to change their approach as well, making sure that those representing themselves act in accordance with court etiquette. Also, they need to ensure that those claimants won’t end up being short-changed due to their lack of legal nous. This entry was posted in Family on 31 August 2017 by admin. The Domestic Violence and Abuse Bill – what is domestic violence? Of the 27 proposed bills included in the Queen’s Speech delivered on 21 June 2017, the Domestic Violence and Abuse Bill was perhaps the one that piqued family law practitioners’ interest the most. The bill, it is claimed, will protect victims and ensure that they have the ‘confidence to come forward and report their experiences….’. The bill also proposes establishing a Domestic Violence and Abuse Commissioner, acting as an ‘independent watchdog’, who would stand up for the interests of victims and survivors of domestic abuse. The Commissioner would monitor the response of the authorities and help keep victims safe from domestic violence perpetrators. Furthermore, it is proposed that there would be potential for longer sentences for those convicted of domestic violence against children, as well as those cases involving an aggravated offence, potentially allowing judges to hand out tougher sentences. Whilst many of us are familiar with identifying physical and sexual abuse, there are many who would not be able to identify themselves as victims where such abuse is of broader psychological, emotional or financial nature. For example, where a spouse or partner prohibits restricts the other from financial independence, may be considered as abuse and/or domestic violence. Further examples might include perpetrators restricting access to money, where financial activity is controlled or monitored through bank accounts or even where one party is asking the other to account for each and every penny spent – all such similar scenarios might be considered variations of financial abuse. These different forms of abuse can often be extremely subtle, leading to difficulties with victims identifying themselves as suffering from domestic violence. Financial and psychological abuse is most effective over prolonged periods of time and typically, tends to worsen once the perpetrator has established a position of trust and authority. Physical violence does not always follow other forms of domestic violence or abuse. Many perpetrators find they do not need to resort to physical abuse if for example, psychological or financial abuse is effective in controlling their partner. The Office of National Statistics states that 53% of unsuccessful prosecutions in domestic violence cases were due to victims retracting their evidence, not attending hearings or not supporting the case. It is widely recognised that domestic violence and abuse remains under-reported. The Crime Survey for the year ending March 2015 showed that 4 in 5 victims of domestic violence do not report abuse to the police. The lack of reporting to the appropriate authorities is often as a result of control and fear, lack of confidence that the relevant authorities will take action against the perpetrator and lack of understanding about what is considered as domestic violence and abuse. In December 2016, Sir James Munby, President of the Family Division, called for a bar on victims of domestic violence being cross-examined by their perpetrators in court. Munby urged for reform following an investigation by The Guardian, which revealed that women faced questioning in family proceedings by the men who had abused then. Following the post-LASPO austerity drive and cuts to public funding, victims and perpetrators alike are frequently finding themselves unrepresented in the family court. Sir James Munby proposes a complete ban on cross-examination of victims by perpetrators in family cases, in accordance with the provisions in criminal proceedings, but such proposals would require changes in primary legislation. In addition, Sir Oliver Heald, Minister for Courts and Justice, has confirmed his commitment to review the availability of legal aid by April 2018. The introduction of the Domestic Violence and Abuse Bill comes as a welcome relief to many charities and organisations dealing with victims of domestic abuse. It is anticipated that the bill will bring about a greater awareness and understanding of domestic violence, which is all too often associated only with physical or sexual abuse, but it is clearly one, small step in a long journey to address the difficulties that victims face. This article was written by Pui Uro, solicitor and partner at Hunter and Uro Solicitors in London and Bedford. This entry was posted in Family on 8 August 2017 by admin. Are you entitled to free legal representation in the UK? What are the legal considerations when opening an online vaping store?